Patrick Creighton is a former Sports Radio 610 personality. He's from Brooklyn New York and known for being loud. His niche is baseball and he can discuss it among the best. Currently, you can catch Patrick on ESPN 97.5 at 7pm Late Hits. Friday evening, Patrick laid into 610 Programming. He was not going after the individual personalities but management. Upon the news of Texans and Sports Radio 610 new 10 year contract, Patrick pulled the curtain back on how programming decisions are made. It's pretty much as expected, 610's talent is instructed to focus on the Texans at all times of the year. It's only interesting to hear a former employee confirm it. 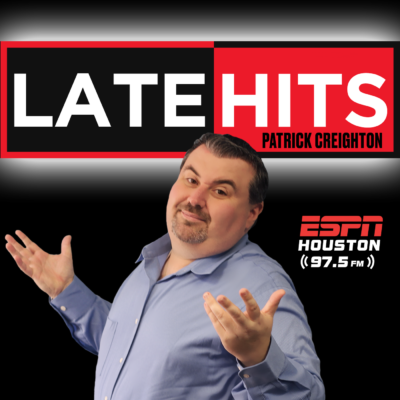 I think the biggest shocker is when Patrick said, they do not want the Astros or Rockets to do well because it will hurt them in the ratings. Straight KO.